Disponibilidad: In stock on April 28, 2019. 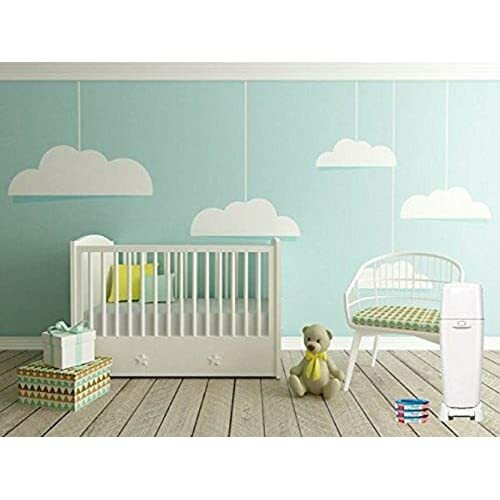 Compatible with: Diaper Genie essentials, mini, complete, expressions, and elite. Made with 7 layers to help trap odors. 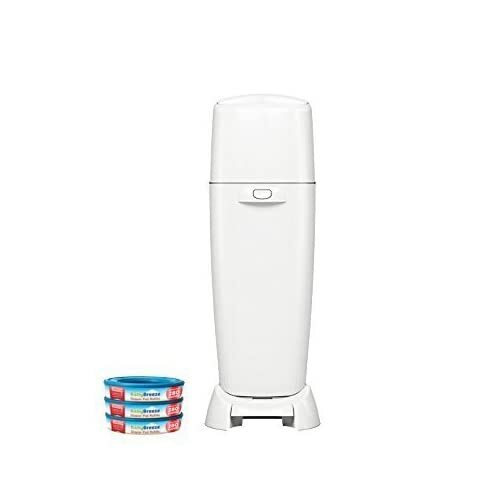 Holds up to 280 newborn diapers per refill. 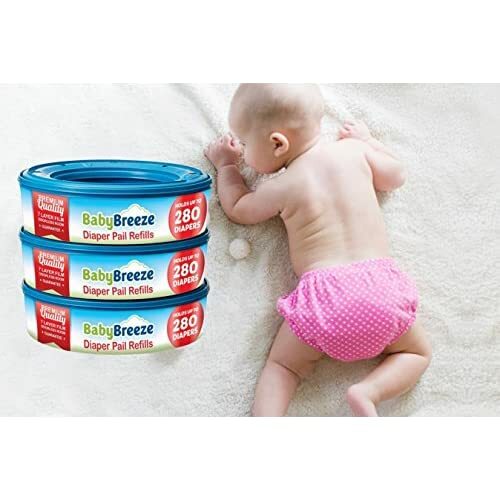 The refill cartridges are guaranteed to fit leading brand diaper pails, including all Playtex Diaper Genie Pails. 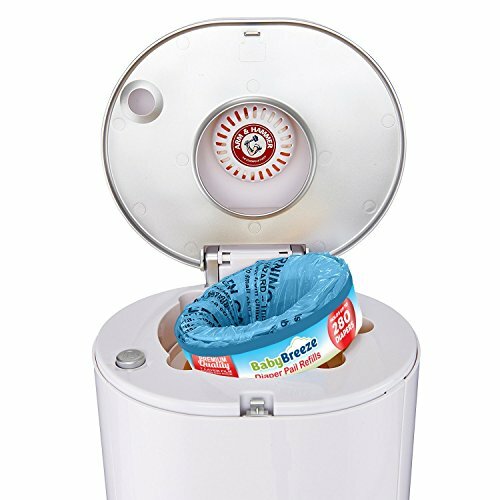 For use with most Diaper Disposal Systems. 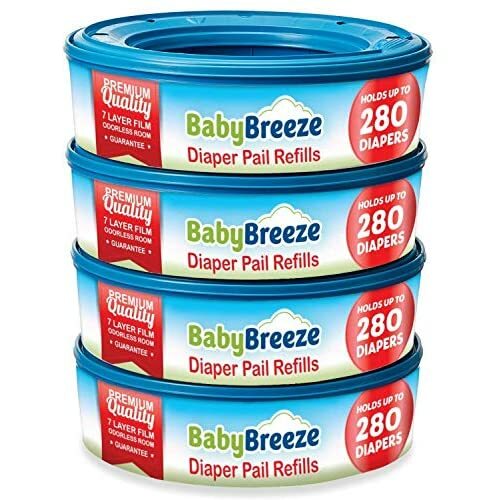 BabyBreeze Diaper Pail Refills are designed especially for the Diaper Genie Pails and provide reliable protection from diaper odors. 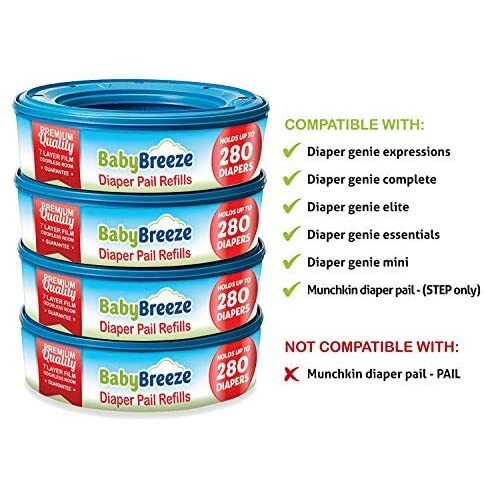 Not compatible with: *Diaper genie expressions Each refill has 7 layers of film that work together to trap it all inside your diaper pail. Each batch of refills is tested for durability, quality, and strength so that we can ensure they’re highly effective.